The San Giuseppi Pinot Grigio was, at least in 2011, a pretty nice, affordable Italian white. Definite rich taste and a fresh sniff for your nose…liked this one a lot and it seemed to approach the Margherita territory at a less expensive price point. I’m slightly behind the posting of this wine, though, so can no longer say what meal originally accompanied this nice breath of fresh air. 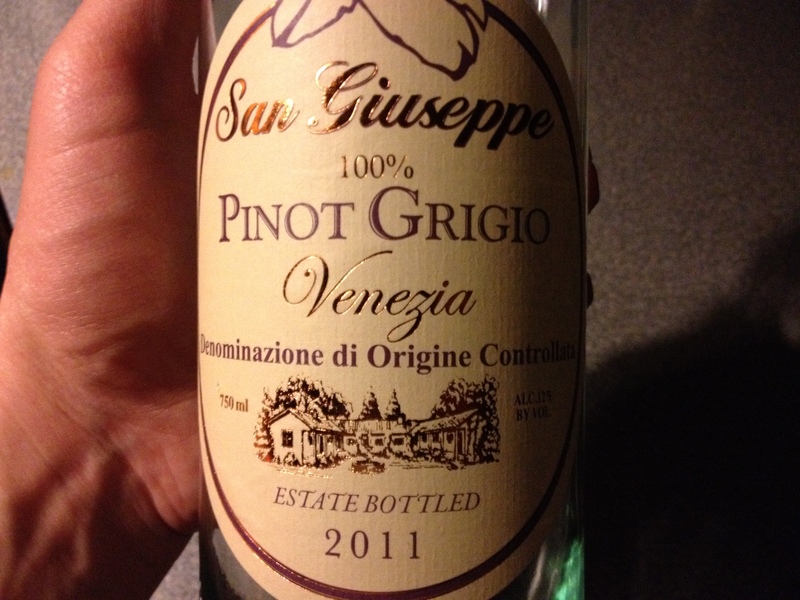 2011 San Giuseppi Pinot Grigio, Venezia region of Italy.